That is the question. Does Strava weigh in on the side of being a benefit, or does it tip the scales toward actually taking something away from the activities that we love to do? The benefits of Strava are pretty self-evident-- it is a great training tool, a community builder, a place to find new trails, push our own limits, and engage our competitive spirits in a friendly manner. But, as with all new technologies, we are faced with the question of how this changes the sports we love, if at all; and if the overall changes are worth it. Sometime back I read an article about a cyclist who died going after a descent record that he held and then lost. 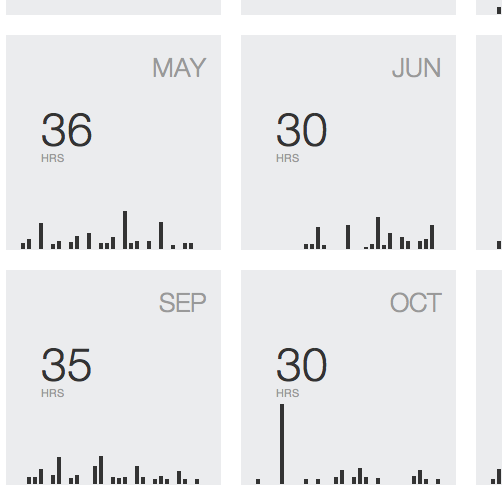 In another event, a pedestrian was killed by a cyclist who was timing himself on Strava. I hear other stories, as well-- like how Strava has turned mountain bikers into maniacal monsters that render well-used hiking paths into dangerous arenas of competition. I have even heard that Strava is now beginning to show its mark on the bike paths in Seoul, where KOM's and speed records are showing up on the pedestrian bike paths of the Han River. For the trail runner, the dangers of Strava are lessened significantly. Crashing on the trail in my running shoes gives me or another hiker much better odds than a bicycle moving at much higher speeds. But there might be another danger, one that is more insidious over time, one that might not put the runner in immediate physical danger, but perhaps danger of a more spiritual nature, one that gets at the very heart of why we run. Lately, I've become more and more obsessed with the CR's (course records) around our city of Chuncheon, and with the advantage that only a few people use Strava around here, I've managed to collect a few. I accredit that mostly to the folks who went out and set the CR's in the first place, as it is much easier to chase a rabbit than it is to push yourself up something big on a training run in the first place. Also, there are several folks I run with who regularly leave me in the dust and are not on Strava, or don't use it regularly. I know for a fact that one of my proudest CR's was beat significantly by a friend, but I still feel a streak of pride over my official (Strava says so!) CR on the climb. The other day I dug in deeply on another climb with the idea that I might take this particularly difficult CR. I arrived at the top, where I dropped to the ground and took a few minutes on my back to recover, sweating from every pore, gasping for breath. And even though I knew this friend had not trashed himself as I had going up the climb; and even though this friend no longer lives in Chuncheon to come and easily retake the record, I was still flying pretty high when I saw that beautiful trophy icon come up in my run detail. And that's OK, I guess--work hard, and feel rewarded. Like I said, one of the benefits is that we get to push ourselves and have friendly challenges within our community. But there are obvious caveats, like a heavy dose of good old-fashioned hubris. I would be dead wrong to think that I'm special because of these "accolades". I know that if I fancy that these CR's are anything beyond fun markers for us to chase, then I would be both delusional and foolish. It is fun to go after CR's and, admittedly, it's even more fun to get them; but if that becomes my reason for running and the reason I'm a part of a community on Strava, then, well, I'd just be a nimrod. The second caveat is similar to one that I have with Facebook-- being that now Strava has, in its particular way, blazed its path into the way I think and feel about running. If I let it, it tells me how I am supposed to feel and think about something that was previously just me getting out on the trail for the sake of getting out on the trail. I'd be remiss if I didn't acknowledge that there is a real and present danger of Strava changing my mental and spiritual approach to running. Yet another example of how Strava has gotten into that space between my run and my spirit is shown in the fact that I recently lost my Garmin watch, and I have to think long and hard about whether or not I'm going to carry my phone just so I can track my run! (you'll be happy to know that I have had several runs without carrying my phone, and they were just as satisfying). One final point worth consideration. Just last week, I was involved in one of the many challenges that Strava offers. This particular one was about how much vertical gain we can do over ten days. I kept pretty good tabs on my performance, and that of my friends, and even the elites I was following. It was a great motivation to get up in the mountains as much as I could. Let me tell you that the leaders of this challenge were nothing short of heroic-- one guy managed to climb over 15,000 (that's 50,000 feet!) meters in 10 days. One day, however, I noticed that someone had sky-rocketed to nearly 30,000 meters into first place. An obvious glitch that took him from the bottom of the field to the top, the very top, as in number one, and significantly higher than second and third place. The glitch didn't surprise me, I've seen it before. But what did surprise me was that some folks (not many, and I accredit that to how cordial trail runners are) absolutely lambasted and berated this guy with insults. One person called him a poser and then went on to criticize the guy's athletic ability based on his public work out reports. 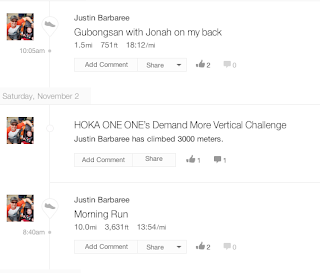 It reminded me of another distance challenge where a woman was cyber-bullied on Strava because a glitch that put her far into the lead of a challenge. A few people dragged her over the coals even though she openly admitted the glitch and was trying to get the run removed from her profile. And as I was thinking about this, it suddenly occurred to me... there is nothing wrong with Strava. Strava is a service, and a handy service at that. If there is any problem, it lies with me, within my own heart. Any negativity that breeds from me in regards to this program says more about me than it does about Strava. If I may wax philosophical, Strava is like a mirror into my soul. If I get upset about some competition, or some course record that gets beat; or if I get my ego all stroked and puffed up; or if I endanger myself or others in pursuit of a record, then those are all issues with me. I think that this is an even larger philosophical issue about how we use technology in general-- are we using it to strengthen community and push ourselves in positive ways; or do we use it in self-absorbing ways that actually get between us and what we truly love? I whole-heartedly believe that running helps to make us better people; and when we throw mountains and trails and trees and rivers into the mix, the equation only grows. When I run, I often confront beauty in its purest form-- in nature, in my own physical exertion and the simplicity of work, and in those hours on the trail spent in either prayer and meditation or in community. I need to be vigilant about protecting that beauty. Strava is not a threat, but my relationship with Strava could be.